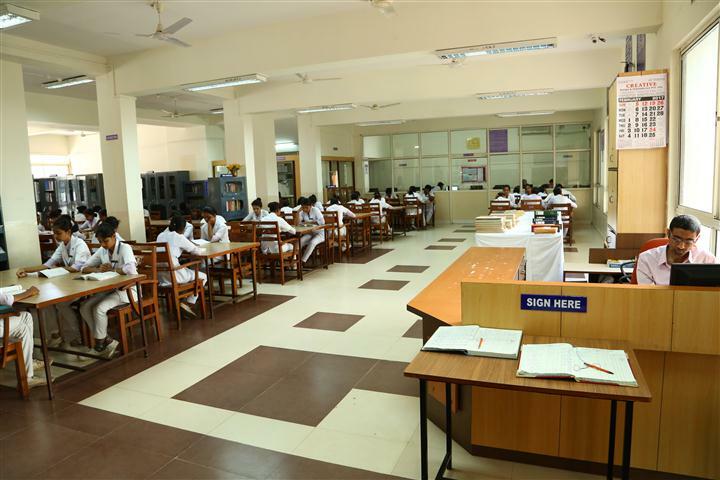 KLEU INSTITUTE OF NURSING SCIENCES, BELGAUM. A Library is the Heart of an Institution of learning. It is a Temple of Knowledge; a well stocked Library is a sine quo non of an educational Institution. A place enthusiastic love to visit and reap benefits. 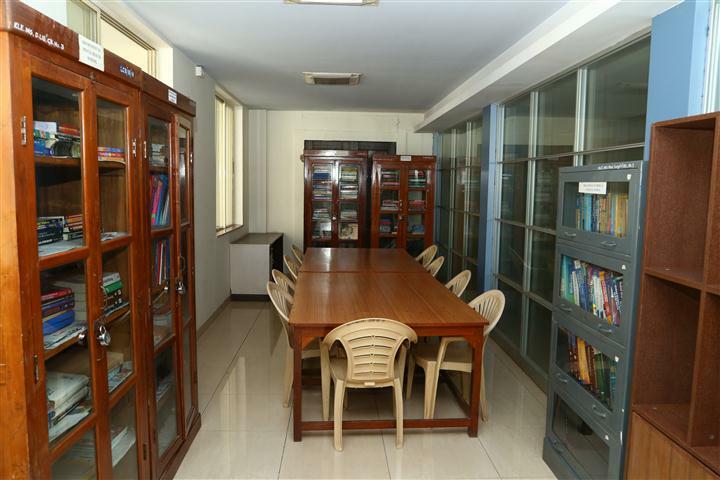 Our Library Jnana Bhandar is a spacious, planned and well furnished. It houses UG and PG Reading Room, Digital Library, News paper section. 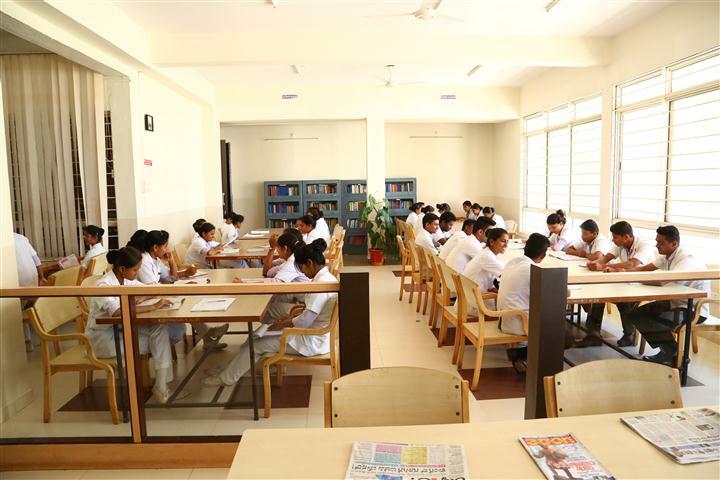 Our College Library has a stock of rare collection of Reference Books, Text Books of general interest to cater to the diverse testes of our enthusiastic students and learned members of the staff. There are current Journals, Bound volumes of journals, Video Cassettes which help our Readers to update their knowledge. Latest Books and Journals are added to our stock every year as per the demand of our students and recommendation of our staff. Our library staff is always there to help and guide our users. Our general Reading is kept open for 12 hours a day. 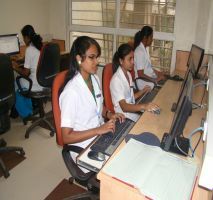 Fitting with the new millennium, facilities of E-mail Internet, retrieval of journals and text books and Conferencing with other research & academic institutions word-wide have been added with 15 computer sets and capacity of 15 is targeted in near future. 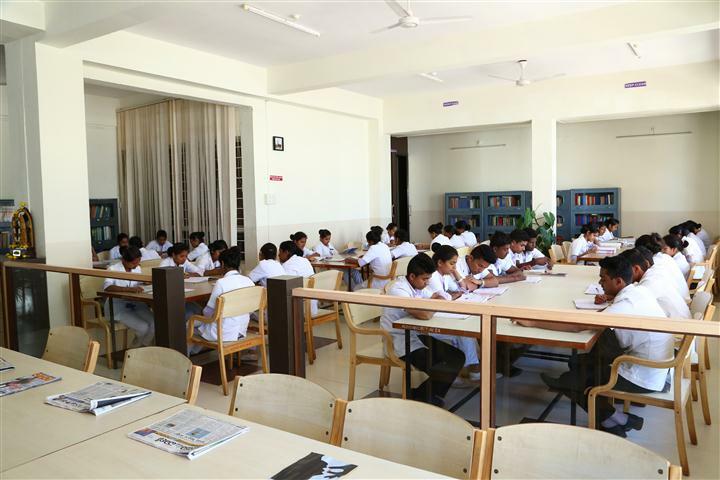 Facilities offered by ‘DIGITAL LIBRARY’ Communication through E-mail, Chat Voice message, Voice mail Browsing of word web online journals, which the college has a subscribed, reference Books online, Journal search, Practice Guidelines, Patients Education, Drug information etc. 3. Binding of Books & Journal is being done in the library. 6.Digital Library with Internet Connection to all the computers. 7.Computers :Facility, E-MAIL & INTERNET Facility .